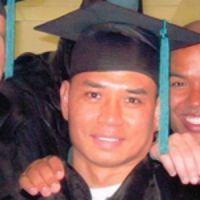 MERCY TO THE MAX, is, at present, owned, published and edited by Father George David Byers, the webmaster here and a long time friend of Pornchai Maximilian Moontri. Copyrights on articles by Pornchai belong to him. Copyrights on articles and books written by others belong to them. We thank them for allowing their works to be gathered here. As time goes on, more articles by and about Pornchai will be added in posts and pages on the menu at the top of the blog. Here you will also be able to follow some of the progress of the epic journey from the hell of most of his life until his present encounter with the Divine Mercy. This site is only being established at this time. Soon, there will be FaceBook, LinkedIn, and Twitter accounts by which you will be able to follow and spread the word about one of the great heroes of our time, a hero because of his continued perseverance in goodness and kindness of the Divine Mercy in the most adverse of circumstances. * The hand-carved, hand-roped and sailed model ships highlighted in the slideshow above were all created by Pornchai, just as example of one of his many talents with which to distract you as you get to know him, as you are inspired by him. As this effort gets underway, we want to introduce you to Mercy to the Max, a new site that collects in one place the many writings of some well known and less known Catholic writers who have taken up pen to bring you this remarkable story. They include the journalist, Felix Carroll, now Executive Editor of Marian Helpermagazine, Ryan MacDonald, a columnist with Spero News, several posts from These Stone Walls, and other writers whose names you will recognize. I cannot express in words how grateful I am for this site. To demonstrate the tremendous transfiguration of Pornchai, I would like to ask readers to do a very simple thing. Go to Bing.com and do a search – Pornchai Moontri – no quotes necessary. 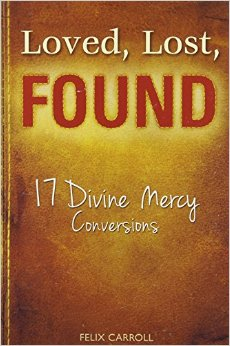 Just peruse the first couple of pages of results for an example of some of the marvelous things being written about this Divine Mercy conversion. The reason I suggest using Bing.com is that Google is currently under law suits for anti-trust violations for allegations of favoring sites that carry its content and penalizing sites that do not when publishing search engine results. Mercy to the Max seems to be one of the sites Google penalizes. Go to google and do a search and compare the results (just hit the link): – Pornchai Moontri – . The search results at Bing.com appear to be a far more honest analysis. Thank you and God bless you for sharing a link to this site with others. I consider it an important Corporal Work of Mercy. Wow! Great piece of work here showcasing my wonderful Godson’s marvelous talents! In addition to being brilliant (check out his GPAs! ), he is incredibly creative. If you didn’t grab one of his masterpieces when they were available, you will always regret it. What a story he has. Stay tuned, there is much more to come. Please keep him and those helping him in your prayers. And never forget that “. . . the world will be better for this, that one man, scorned and covered with scars” still bravely reaches for what has become a possible dream. Ah, to FINALLY hear the voice of this man I so admire. Thank you, Ponch, for ministering to us “on the outside”! You have insights that help us so much. We should be giving to you, but you & Father give so much nourishment to us! God is certainly using both of you! You’re in my prayers! I am an admirer of him for a very long time and pray for all the friends of Christ behind The Stone Walls. This is truly wonderful as Pornchai you have such a compelling story. It is an honor for me to know you through Father Gordon. I look forward to more on this blog. Keep up the blessed work you do and know that you are in our prayers. I’m so glad you have your own blog, Pornchai-Max. I look forward to visiting you here. Kudos on bringing Max to life for us electronically. In this most unsettled of times, Max has found the way to peace in the midst of great trials. This site will allow him to be a shining light with a broader audience, as Our Blessed Mother is calling us all to be. I hold Father Gordon and Pornchai in great affection, and admiration for their faithfulness to the Gospel. If there is any assistance I can render in editing or writing with or for you, I would be honored to do so. May God Bless you in this endeavour. I cannot express in words how grateful I am for this site. To demonstrate the tremendous transfiguration of Pornchai, I would like to ask readers to do a very simple thing. Go to Bing.com and do a search using quotes for “Pornchai Moontri.” Just peruse the first couple of pages of results for an example of some of the marvelous things being written about this Divine Mercy conversion. The reason I suggest using Bing.com is that Google is currently under law suits for anti-trust violations for allegations of favoring sites that carry its content and penalizing sites that do not when publishing search engine results. Mercy to the Max seems to be one of the sites Google penalizes. The search results at Bing.com appear to be a far more honest analysis. Thank you and God bless you for sharing a link to this site with others. I consider it an important Corporal Work of Mercy. I’ve gotten to know Max up close and personal as I’ve been a table leader in The Hearts Afire retreat program which just ended a week ago Sunday behind the stone walls of the NH State Prison. Max has been at my table for the past two sessions along with Fr. Gordon. Max is a very compassionate man who cares deeply about the welfare of his fellow inmates as seen by the numbers who confide in him. One the biggest things for these men behind those stone walls is to take on the responsibility for the crimes they have committed and to forgive themselves. Max has certainly accomplished these. With the ending of the Heats Afire I was sadden to think I may never see any of these men again specially Max, Fr. Gordon, Michael Ciresi, Gary, Dan, Adam, Greg and Tony. But wait there is an upcoming Kairos weekend in the Fall and it is possible the Three Amigos (Max, Fr. Gordon and Michael may be attending. I am praying that they will be as I am on the team leading the weekend.